San Rafael, California, and our sister city, Montezuma, Costa Rica. San + zuma = Sanzuma. 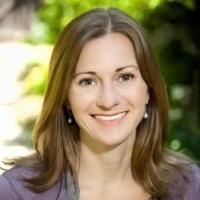 Lori Davis founded Sanzuma in Marin County in 2012. Sanzuma began by delivering solar ovens to small villages in remote regions of Guatemala, El Salvador, Costa Rica, and Mexico. This was possible due to generous donations. With the food produced from the ovens, the villagers could earn an income, cook food without cutting down trees for wood, and purify their water -- All without electricity or propane! Their forests would stay intact, and they would not have lung problems and burns from cooking over a smokey fire. As we expanded our solar oven program to other villages, we saw an urgent need for a basic, sustainable healthy food system paired with nutrition education. Being true to Sanzuma's motto of, "Your health should not be a reflection of your economic status”, we took a closer look and found the same challenges existed in Marin County. Thus, we began developing our School Farm-to-Cafeteria program. Since 2013 we have converted many existing school gardens into producing farms, taught thousands of nutrition classes while educating the students how to grow their own food. The bounty from the gardens is then processed through the San Rafael City School lunch program for their salad bars. This is all done through an environmental lens. Sanzuma has fostered deep partnerships with Health and Human Services of Marin, The Kaiser Foundation, San Rafael and Novato School Districts, Zero Waste Marin, Child Care Marin, Community Alliance for Family Farmers, Master Gardeners of Marin, UC Cooperative Extension, Marin Food Policy, Farm Lab San Diego, First Five Marin, Interfaith Sustainable Collalition, and The Center for Eco Literacy. With these partners we have formed the Farm to Student Collaborative, as a group we have vowed to do whatever it takes to increase awareness & implement an equitable food system at all Marin County Schools through programs that are possible within each school’s constraints. After fifteen fulfilling years in interior design, Lori developed a burning desire to make a long-term social and environmental difference in her community and beyond. She discovered University of California, Berkeley's Agrobiodiversity and Cultural Food Systems program, graduating a few years later with a B.S. and scientific honors. Lori and her son Cameron Davis, started raising money to donate solar ovens in Central America and Mexico. Her first goal was to make sure the people they worked with had access to healthy food to put into their solar ovens. After several trips south of the border, she realized people in her own Marin County community were also in need. Lori teaches urban farming, seed-to-table cooking, as well as nutrition education and cooking classes at many Marin schools, following USDA "My Plate" guidelines. Her programs have been very successful, whether in school classrooms or school gardens. 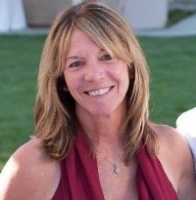 Lori is also the Wellness Coordinator for the Marin County Office of Education. Bob was born and raised in Marin County. He attended all San Rafael schools and graduated from Saint Mary’s College in Moraga, California with a Liberal Studies degree. He received his Multiple Subject Teaching Credential from Saint Mary’s College of Education and his Masters in Education Administration from San Francisco State University. Bob has served as a teacher and principal in San Rafael City Schools since 1997 and he is currently the proud Principal of Davidson Middle School. Bob loves exploring nature, playing live music around the county, and being with his family, which consists of his wife Kristen, children Nello and Lena, his two dogs Zorra and Carlos, and his tropical fish. Elaine is a highly collaborative leader, driven by a passion for shepherding organizations and communities towards a healthy, sustainable future. Currently applying her extensive and diverse management experience in the food, education, and health care industries to a private consulting practice. Prior to her move into consulting, she served as VP of Operations for a start-up medical device company in San Rafael, where she helped bring the world’s first biodegradable medical device to market. She earned a MBA in Sustainable Enterprise from Dominican University of California (DUC), and then served as its Program Director. She also led the Sustainable Practices Program at DUC, ushering through more than 50 graduates. Elaine holds a B.S. in Nutrition and Dietetics and earned her Registered Dietitian status in 1999 after completing a dietetic internship at University of California, San Francisco. She is a seasoned professional with extensive management and proven success in: Developing and motivating diverse teams of professionals towards shared goals; Designing and managing innovative programs; Analyzing and improving processes and systems; Developing and implementing strategies and tactics. Robyn Chapman is an Agency Director for Monster Worldwide responsible for managing recruitment advertising agency relationships between Monster, clients, and agencies. 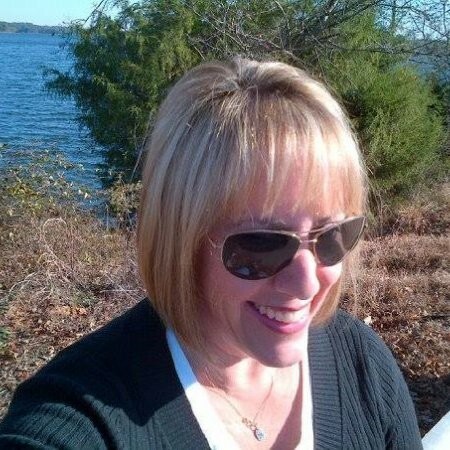 With a long career in Sales Management, as a Certified Human Resources professional, and Professional Recruiter, she is immersed in relationship building and management, recruiting strategies, and technology every day. Born and raised on the East Coast, with a degree in Liberal Arts from the University of Hartford, her heart is in the Bay Area, spending as much time here as possible. Additionally, she is either on, or served on, several boards and leadership initiatives, with a focus on education, or companion animal concerns, including equine. She previously served on the Board of the Rockdale County Public Schools Foundation and currently serves on the Grant Review Committee. Most notably, she chaired Strand 3, Sustaining Change Through Business and Civic Leadership on the Ford NGL/PAS project in partnership with the Covington Chamber of Commerce and Newton County School District. She has also successfully written many grants for animal welfare and rescue organizations. She uses her professional skills and knowledge to engage, attract, and maintain visibility to a cause, helping to build fledgling organizations. View her full profile at https://www.linkedin.com/in/robyntchapmanfindbetter. Marianne Vicencio Ward is a senior associate at HealthWorks, a consulting firm that assists healthcare organizations with strategic and business planning, trauma center planning and development, valuation services, hospital-physician contracting and integration, and litigation support. Marianne has more than 20 years of hospital system management and analytic experience. The main focus of her career has been on clinical analytics, performance improvement and patient safety. Marianne earned her bachelor’s degree in business administration/management science from the University of California, Berkeley. She is a Certified Professional in Healthcare Quality. Marianne joined Sanzuma to provide planning guidance and to direct analytics efforts. Her background in healthcare dovetailed perfectly with Sanzuma's mission to grow healthy communities. Marie spent her early life as a professional artistic roller-dance skater. She quickly discovered her passion for the intersection of sustainability, development, and business during her first year at U.C. Berkeley. She was heavily involved in the Student Organic Gardening Association as a student, instructor, president, and grant writer. She graduated from U.C. Berkeley in 2014 with a Bachelor of Science in Conservation of Resource Studies. Marie is currently an accounting assistant at an organic produce distribution company. Her passion for organizational systems and social enterprises led her to Sanzuma where she hopes she can make a difference by creating sustainable programs that build healthy and educated communities. Olivia was born and raised in Marin County, CA. Beautiful Marin County fed her passion for being active outdoors, riding horses, and nutrition. This inspired her to receive her BA in Kinesiology at Chico State University with focuses in health and wellness, exercise physiology, and physical education. Satisfying her travel bug, post graduation, she moved to the Basque Country in Spain to find her Basque family roots. There, she worked and studied Spanish for a year. On her return, she attended University of San Francisco to get her Masters is Public Health graduating August, 2018. Throughout her courses, Olivia developed a strong passion for environmental health and health advocacy. Additionally, through her experience while gaining her masters she was involved with a public health internship at Marin Health and Human Services department, which is where she was connected with Lori Davis at Sanzuma. Now as Farm Manager, Olivia is dedicated to helping improve the health and wellness of her community.